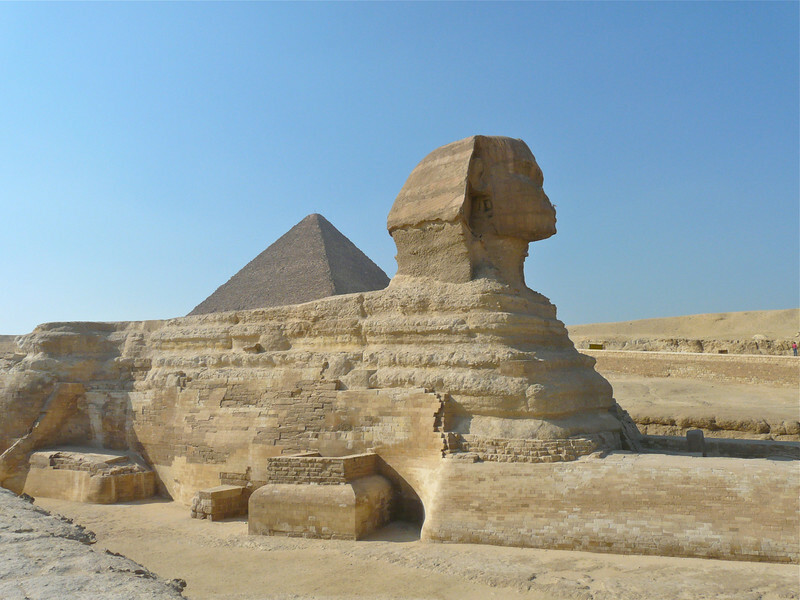 Boomer travel to Egypt: is it safe? Ancient pyramids standing tall under the desert sun, the extravagance of Tutankhamun’s funeral mask, the Muslim call to prayer drifting over Cairo as exotic sights and smells assault your senses—are these the images that fuel your boomer travel dreams? 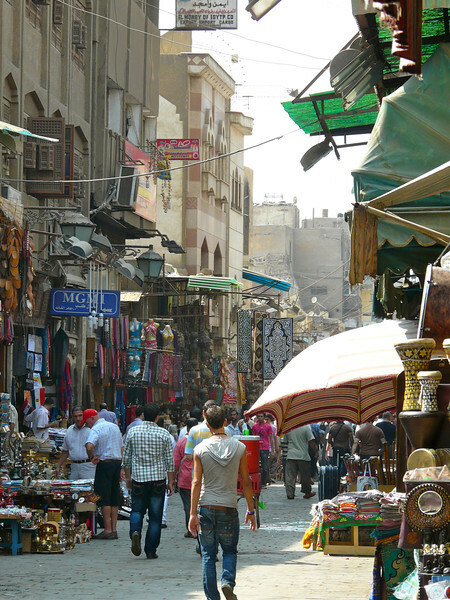 Since the Egyptian Revolution occurred in Cairo’s Tahrir Square on January 25, 2011, tourism—especially American visitors to the country—has declined. But boomer travelers willing to conquer their fear of a country sorting out the aftermath of revolution will discover fewer crowds at prime sites like the Giza Pyramids and Valley of the Kings. They’ll also meet a population eager to discuss new-found freedoms, at least that was my experience on a 6-day visit to Cairo. When I called my 81-year-old mother before leaving the U.S., there was a long pause and then a sigh. “I wish you weren’t going,” she said. “Could you send me a postcard just so that I’ll know you’re okay?” she asked. Their concern was understandable. The week before my departure, the media had been filled with photos and reports about the attack on the Israeli Embassy in downtown Cairo. Even my normally calm husband insisted that I contact the tour operator to discuss safety concerns. I assured family and friends that the city is home to over 20 million people. I wasn’t going to let one tragedy that happened on a corner of downtown Cairo scare me away. As the EgyptAir plane descended toward the Cairo airport, the flight attendant sitting in the jump seat across from me started a conversation about life in Egypt. He voiced enthusiastic and encouraging words on the country’s future. Most U.S. tourists traveling to Cairo stay at one of the luxury hotels along the Nile River or arrive on a mammoth day-long excursion when their cruise ship docks in Port Said or Alexandria. They explore the antiquity sites, perhaps dine in an upscale restaurant at one of the hotels; but their only interaction with the local culture is with workers in the service industry or the tout who’s selling trinkets in the parking lot of the Giza pyramids. My experience would be far different starting with accommodations in the Dokki section of the city. AuthentiCity Travel—the U.S. company that had invited me to join a cultural tour of Cairo—houses guests at the Safir Hotel in a neighborhood that is safe for foreign visitors to explore on their own. The week in Cairo began with a get-acquainted-tour around the neighborhood of the hotel. Our local guide pointed out the 24-hour pharmacy, a coffee shop with a good wireless connection and restaurants that we might be interested in trying—emphasizing the neighborhood’s safety and encouraging us to explore on our own. Our group wove in and out of stores, stopping to inspect bins of spices, baskets of local vegetables and fresh fish resting on mounds of ice in the front window of the fish market. After wandering through the narrow aisles of a local grocery store, I stood in line to purchase a bottle of water for the hotel room. An older gentleman turned in my direction with a sincere greeting. “Welcome to Egypt,” he said. At first, I was startled. This experience hadn’t happened to me in other countries, but It wasn’t the only time that I heard those friendly words while in Cairo. Later in the week, I joined three tour members for the 30-minute walk to dinner at The Flying Fish. The biggest safety challenge for us—crossing the busy Cairo streets—a feat requiring careful navigational skills. During my time in Cairo, I saw the usual tourist highlights including the pyramid sites at Giza and Sakkara, where the touts are more persistent than ever. Who can blame them? With tourism numbers down, making a living has become even more challenging. But I also had the opportunity to witness the dynamic changes of a culture in transition. And, given the opportunity, many locals are interested in sharing their views on the events happening in their country. Tahrir Square, the site of the 18-day revolution that began on January 25, 2011, has become a sort of tourist attraction. One afternoon our group met activists at a coffee shop near the square to discuss their participation in the revolution, which has fueled their optimistic hopes for Egypt’s future. At the Egyptian Antiquities Museum, I stood on the second floor near the domed entrance listening to our outspoken guide voice her views about the robbery that occurred during the days of the revolution. In her opinion, a government official was involved. Before the revolution, it would not have been safe for her to openly criticize the government. Later that evening, our group attended an evening performance by a boomer chorus performing Egyptian golden oldies for the local community at the Culture Wheel. 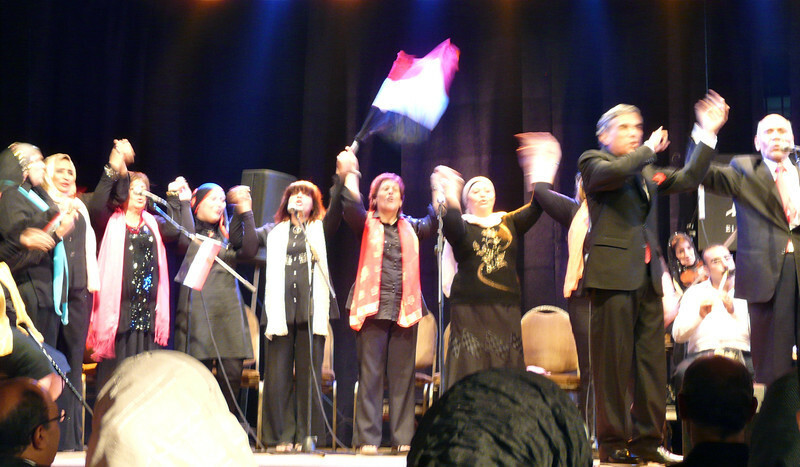 The concert ended with members of the chorus waving Egyptian flags while singing national songs. Two women in the front row, one veiled, the other not, held hands as they sang. Never did I feel in danger or unsafe during my time in Egypt. As I discovered, boomer travelers are more likely to experience stomach distress than find themselves in a dangerous situation on the streets of Cairo. 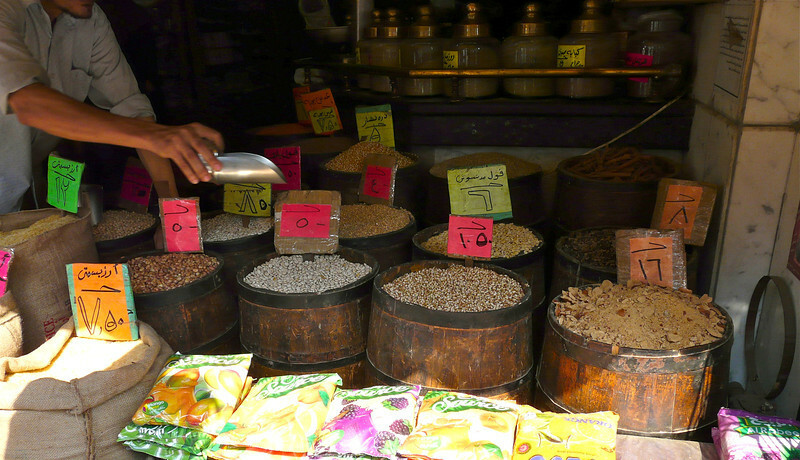 This is a first-hand report of my travel experience in Egypt from September 2011. Yours may not be the same, especially as political circumstances change. When traveling to a country that is in turmoil, I recommend that you use good judgement, seek out in-country news through a variety of sources (don’t rely on one biased report) and travel with a group (safety in numbers). Have you recently visited Egypt? Did you feel safe? Come join the conversation at the My Itchy Travel Feet page on Facebook. Or send us an email with your thoughts. Disclosure: This travel experience was provided by AuthentiCity Travel. The views are my own.